It's hot outside! 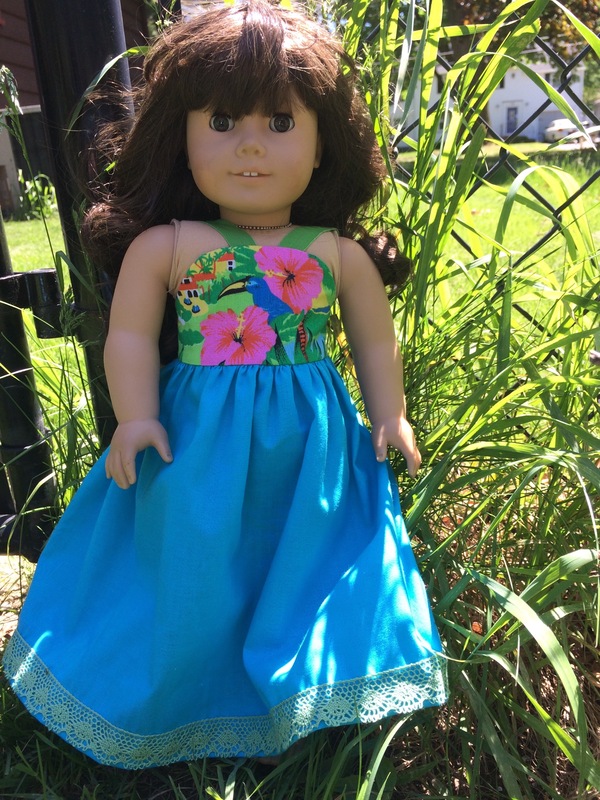 This darling little sundress by Love U Bunches will keep your doll cool this summer. Maxi or tea length, it's just as cute as can be! Stitches up quickly and has lots of options for adding trim, beads, rick rack, or lace! Special Note - This PDF sewing pattern is designed to fit A Girl For All Time Dolls specifically and will not fit the standard 18 inch doll such as American Girl Doll. 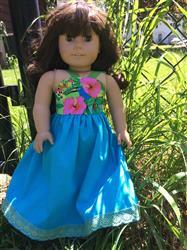 An AGAT doll is 16 inches tall and has a slimmer hard plastic body. You can see more info on our Doll Measurements page. I made this quick dress and was so pleased with it! I substituted elastic straps for the ties so that my 3 year old granddaughter could dress it herself (no tying with ribbons) Agree the bust area is a little tight, add 14" to length of bodice. Directions are clear and love the illustrations of different versions!